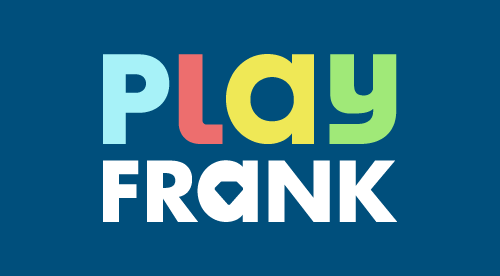 PlayFrank was established in 2014. It’s another modern site with a curious name trying to stand out in an increasingly crowded market. The website highlights a fictional character called Frank, who "ended up in an old and creaky casino" and played the Mega Fortune slot machine "with his last coins". Apparently this decision changed his life and could also change yours. It ends with the strapline: "So don’t just play Casino. PlayFrank." Frank, it turns out, is some sort of one-eyed monster who slightly resembles a minion from Despicable Me and appears throughout the website. The colour scheme and design of the site is not dissimilar to rival Casumo, with a scrolling timeline at the side of the homepage announcing live wins and thumbnails of the games laid out in a grid format. The website is available in English, German, Finnish, Swedish and Norwegian and also offers multiple currencies. PlayFrank is all about casino gaming as well as offering players a great overall experience. The site integrates games from multiple vendors into a single lobby. Titles from the likes of BetSoft, NetEnt, NYX and QuickSpin are among the 800-plus games available, while the live casino is provided by Evolution Gaming. The vast majority of games are online slot machines, including popular classic titles such as Starburst, Gonzo’s Quest, Secrets of Atlantis and Prosperity Twin. Games can be accessed directly from the homepage and players can search for specific titles or browse according to category, software provider or popularity. Like many of the top online casino sites, it has a ‘Featured’ games section where the latest and best titles are showcased. All games are instant-play and, apart from live casino, can be played for fun without an account. When compared to most competitors, PlayFrank's game selection is truly a cut above the rest. PlayFrank is purely a casino – it does not offer sportsbook, bingo or lottery. However, it does what it does very well with a selection of games to match the biggest online casinos. As well as slots there’s an impressive range of table games along with a list of live casino titles that’s longer than what you’d find at most other sites. PlayFrank also has a slick and fast mobile site where players can access around half of the games that are available on the desktop version. There’s no mobile app at the moment, but the mobile-optimised site does a good enough job that they don’t really need one but don't be surprised to see one launched at some point. The Terms will come into effect on the 5th of November 2017. The website is operated and managed by EveryMatrix Ltd., a company bearing registration number C44411, and having its registered address at Level 5, Suite 1A, Portomaso Business Tower, Vjal Portomaso, St. Julians, STJ 4012, Malta and by EveryMatrix N.V., a limited liability company incorporated under the laws of Curacao, bearing company registration number 108354 and having its registered address at Dr. Hugenholtzweg Z/N, Curacao. Casino games on this website are provided by EveryMatrix N.V. Specific casino games content on this website, by NetEnt Malta Limited, are provided by EveryMatrix Ltd., licensed and regulated by the Malta Gaming Authority www.mga.org.mt) in virtue of a Class 1 on 4 license numbered MGA/CL1/497/2010 issued on the 2nd of May 2012. We make no warranties or representations as to whether your accessing and/or use of the Website or Services is compliant with applicable laws in the jurisdiction in which you are located and you warrant that online gambling is not illegal in your jurisdiction. For various legal or commercial reasons, we do not permit accounts to be opened by, or used from, customers based or domiciled in certain jurisdictions. You may not use the Website and/or the Services if you are located in a prohibited jurisdiction. The fact that the Website is accessible in a prohibited jurisdiction, or that the Website is provided in the official language of a prohibited jurisdiction, shall not be construed as condoning the use of the Website in such prohibited jurisdiction. Any attempt to evade this restriction (e.g. by using a VPN, proxy or similar service that masks or manipulates the identification of your real location, or by otherwise providing false or misleading information regarding your location, citizenship, or place of residence, or by making bets or wagers using the Website through a third party or on behalf of a third party located in a prohibited jurisdiction) is a breach of these Terms and may constitute a criminal offence under applicable laws. If it becomes apparent, or we have reasonable grounds to suspect, that you are located in any of the prohibited jurisdictions, this may result in us closing your Account, without an obligation to provide you with advance notice, freezing the funds therein and providing the applicable details to any relevant authorities and you shall compensate us for any damage or loss resulting therefrom. When attempting to open an account or using the website from any other jurisdiction it is the responsibility of the player to verify whether gambling is legal in that particular jurisdiction. You are responsible for ensuring that you comply with any laws applicable to gambling online in the country in which you are located and/or are a resident of. You must not access the Website and/or open an Account from within a jurisdiction that prohibits online gambling; nor must you do so if you are a citizen of a country that prohibits its citizens from participating in online gambling, irrespective of their location. If the total amount deposited on the Duplicate Account has not been used to place any bets, we will apply a fee of 50% of the deposited amount and return the remaining 50% to you. If the amounts deposited to the Duplicate Account have been used to place bets which resulted in winnings, winnings will be made void and we will apply a fee of 50% of the total deposited amount on the Duplicate Account and return the remaining deposit to you. In the situation where after voiding the winnings, the remaining amount on the Duplicate Account is lower than 50% of the total amount that has been deposited by you, we will charge you a fee amounting to the remaining balance in your Duplicate Account. any returns, winnings or bonuses which you have gained or accrued during such time as the Duplicate Account was active will be forfeited by you and may be reclaimed by us, and you will return to us on demand any such funds which have been withdrawn from the Duplicate Account. If you wish to open another account, you may do so by contacting the Manager at support(at)playfrank.com. If a new account is opened, the old account will be closed. If you wish to close your account you must send a request to do so on support(at)playfrank.com. By closing your Account, you also consent to the forfeiture of any promotional bonuses, prizes or benefits which you may have acquired. The company complies with Maltese and European laws, regulations and guidelines for the prevention of money laundering and terrorism financing. Suspicious transactions/activities shall be investigated by the company and, if necessary, a suspicious transaction/activity report will be made by the company to the competent Maltese Authorities. In any such event, the company is prohibited from informing any players or third parties involved, save in limited circumstances, that an investigation is being or may be carried out, or that information has been or may be transmitted to the competent Authorities. Furthermore, in the event of any suspicious transactions/activities, the company may suspend, block or close the account(s) of the relevant player(s) and withhold funds as may be required by law and/or by the competent Authorities. All transactions made by players on our site are checked to prevent money laundering, terrorist financing and all other illegal activity. By agreeing to the Terms you authorise us to undertake verification checks as we may require ourselves or may be required by third parties (including, regulatory bodies) to confirm your identity and contact details and to prevent money laundering and terrorist financing and in order to verify if you are subject to a sanctions regime (the "Checks"). If a player account remains inactive (i.e. : when no login is performed at the operator’s website) for a period of more than 12 months, the operator is entitled to charge a monthly account maintenance fee of €5, starting on the 13th month of inactivity. Following 12 months of uninterrupted inactivity, the operator will send a reminder mail to the user via the e-mail address saved in his/her account details. Upon receipt of this reminder mail, the user will have 30 days to log into his/her player account. If no login is registered within this 30-day period, €5 of real money credit or bonus money credit will be deducted from the balance. If the balance is less than €5 then the whole amount will be deducted. If the account remains inactive after 13 consecutive months, the user will be sent a reminder mail every month and a monthly charge of €5 will be incurred and deducted from the player account balance accordingly. After opening your Account, you must not disclose (whether deliberately or accidentally) your username and password to anyone else. If you have lost or forgotten your Account details, you may retrieve your password by clicking on the “Forget your Password” link below the login portal. You must deposit from an account that is registered in your own name. We do not accept 3rd party deposits, e.g. a friend, relative, partner, husband or wife. Should we discover during our routine security checks that this has occurred, all winnings will be forfeited and the original deposit to the rightful owner of the account/Credit Card. If bank transfer is required to return the money to the rightful owner, all bank charges will be borne by the receiver. Deposits to the player account are made by transfer of money to the company’s account by way of the payment methods stated on the website. The payment methods currently available include debit cards, credit cards, E-Wallet payments, Prepaid Cards, Instant Banking, Fast Bank Transfers and Bank Transfers. The company reserves the right, to change the accepted methods of payment at its sole discretion. The company further reserves the right to accept certain methods of payment only subject to the fulfilment of certain conditions. The company does not warrant that all methods of payment are available at all times. To verify which payment and withdrawal methods that are currently available and the time lapse these take to process kindly visit our Deposit tab in the main page of our website. For the maximum amount of money you will be allowed to deposit in any one transaction, please refer to the Deposit tab in the main page of our website. The company can, under certain circumstances, credit a player’s account with so called “bonus money”. The conditions for the crediting of the bonus (e.g. First Deposit Bonus) and the amount of the bonus is determined by the company and set out on the website from time to time. For promotions that are currently running please check our promotions page. Your Account is not a bank account and is therefore not insured, guaranteed, sponsored or otherwise protected by any banking insurance system. Additionally, any money deposited with us in your Account will not earn any interest. An estimate of the time taken for your deposit to appear in your account will be stated on the applicable method during deposit. Applicable processing fees for Deposits, if any, will be stated on the applicable method during deposit. Prior to withdrawal of funds not used for wagering or betting, KYC documents shall be requested in the case of players with no previous betting or casino activity. An estimate of the time taken for a withdrawal will depend on whether KYC documentation is needed and the speed at which it is delivered. If an account has been dormant, closed, blocked or excluded for any reason and for any period of time the player may contact our support team to recover any pending funds that he might still have in the account. Our support team will immediately launch an investigation into the claim and the player will be contacted back with information of how the funds will be transferred back to him. If there is a dispute over the account or the funds held within it we will contact the Malta Gaming Authority for an opinion on the best way forward. Applicable withdrawal fees, if any, will be stated on the applicable method during withdrawal. When processing a withdrawal, we reserve the right to apply a deduction equivalent to the amount of the respective transaction processing fees. We reserve the right to retain funds in your account if your balance will be less than EUR 1.50, due to higher sums of transfer commissions. For cases of inactivity please refer to section 6. If you suspect a person is colluding, cheating or undertaking a fraudulent activity, please report it to us by e-mailing at support(at)playfrank.com. It is company policy in the interests of security and in accordance with Maltese legislation, that if no transaction has been recorded on your Account for thirty months (an “Inactive Account”), we shall remit the balance in that account to you. If you cannot be satisfactorily located any funds in that account will be handed over to the competent Authority. Thus the funds are available to the player wishing to withdraw them. Where an unexpected flaw occurs in the system, we will take all reasonable steps to remedy any faults or errors related to the software or hardware which we use to provide the Website, as soon as reasonably practicable. In the eventuality that such error or fault has caused a game to be interrupted in such a way that the game cannot be resumed from the exact same position without any detriment to you or other players, we will take all reasonable steps to treat you in a fair manner. This may include reinstating the balance on your Account and reverting to the position existing following completion of the last bet or game logged immediately prior to the occurrence of the problem. In the event of a disconnection occurring during a casino game, you will be able to reconnect to the casino, return to the game that you were playing, and you will be prompted to resume your unfinished game. Since live games are concluded in real time, they constitute an exception to the above, and inaction by you will be taken as your choice and the game will eventually end. For games where no additional action is required from you after placing a bet, for example with a slot machine, you can check the outcome of the bet by visiting your betting history. The disconnection will not have affected the game, and you will have the same chance of winning as if you had watched the outcome on your screen. When you access the website you should be aware that you may be using equipment or a connection which is not as fast as that used by other players. This may have an impact on your performance in time critical events offered on the website. We do not accept any liability for technical failures which are caused by your equipment used to access the Website or faults which relate to your internet service provider. We reserve the right to either correct any Error made on a bet placed and re-settle the same at the correct price or terms which were available or should have been available at the time that the bet was placed and the bet will be deemed to have taken place on the terms which were usual for that bet; or, in cases where the correction or resettlement of the bet is not possible, to declare such bet void and refund the stake in question back into your Account. Further to the above provisions, you warrant that you shall not circumvent in any way the Intellectual Property Rights of gaming software providers or any other third party owners of such rights. Any breach of this requirement which we become aware of will be notified within reasonable time to the respective Intellectual Property Right owner for undertaking appropriate action and enforcement. We are required according to the Data Protection Act of 2001 (Chapter 440 of the Laws of Malta) to comply with data protection requirements in the way in which we use any personal information collected from you in your use of the Website. We therefore take very seriously our obligations in relation to the way in which we use your personal information. If you wish to make a complaint regarding the Website, first step should be to contact Customer Services at support(at)playfrank.com. You acknowledge that in an event of a website shut-down, your account may be transferred to a different website managed and operated by Us. We reserve the right to forfeit all related existing bonus amounts at the moment of website shut down. Financial Limits - A player may set financial limits mainly related to deposits, wagers and losses by contacting our Support team or by going to ‘My Account’ section, if available. Once these limits are set the player will not be able to exceed these limits. Limits can be amended at any time. A decrease in the deposit limit will take effect immediately, but an increase can only occur after a 7 day cooling-off period, in order to avoid rash decisions. If you require any further information or assistance regarding responsible gaming, please contact Support. Self-exclusion - If you feel that you may have lost control of your gambling, we provide a self-exclusion facility which can be activated by contacting support(at)playfrank.com. Self-exclusion means that your account will remain closed during the entire exclusion period, which can be set for a minimum of 6 months. This is the major difference to a standard account closure request. Should you wish to activate permanent self-exclusion you may do so by contacting the above email address. Any funds remaining in your account/s, shall be immediately returned to You, with an applied deduction equivalent to the transaction processing fees. Underage Gambling - It is illegal for anyone under the age of 18 to open an account or to gamble on our website. We carry out age verification checks on all customers who use payment mechanisms which are available to under 18s and additionally perform random age verification checks on customers using other forms of funding mechanisms. Please note that anyone under the age of 18 found to be using the site will have any winnings forfeited and may also be reported to the authorities. Any notice increasing or revoking a limit or decreasing exclusion will be accompanied by a seven (7) day cool down period in which the player will not be able to revert the conditions previously placed on his account. We shall hold no liability for any claims made as a result of email client errors resulting in us not being able to receive your request. If we do not reply back to you within reasonable time, kindly check your email client and ensure that your email was sent successfully. You acknowledge it is your responsibility to ensure we have received your request, should you not receive a reply or confirmation of receipt of email from us. The company give its customers the possibility to make use of a chat room where they are able to communicate with other players registered and making use of the site. In cases of a possible Chat room, the following terms will apply. Also, we set the chat room policy and reserve the right to change these policies at any time with or without notice. By using this chat room, you are binding yourself to comply with these terms and conditions. Our customer support team will attempt to handle a player’s complaint as soon as reasonably possible. If the support team cannot resolve the complaint they will escalate it to management for solution.